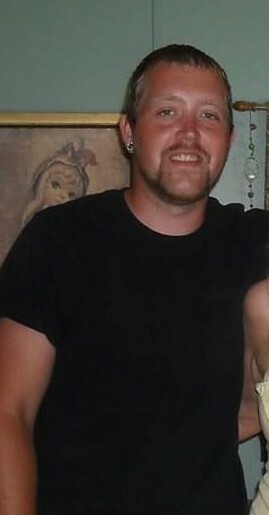 Sean A. Stadnika, age 31 of Burton, passed away on February 5, 2019. Beloved husband of Brittany Todd. Loving father of Sean Jr. and Chloe. Dear son of Tamara Stadnika. Brother of Christine Grove and Jason Hogan. Nephew of Greg Stadnika. Son in law of James & Dawn Todd. Sean also leaves many special cousins, aunts, uncles, nieces, nephews and loving friends. He was predeceased by his father; Dale Hogan and grandparents; Robert Allen and Frances Stadnika. A Celebration of Life will be held Saturday, February 16, 11am, at the River Church, 8393 E. Holly Road, Holly. Friends may visit beginning at 10am. Lunch will immediately follow. Contributions may be made to his children C/O Brittany Todd. Sean will be remembered for his loving and humorous personality, as well as; his love for technology, fixing gadgets and his passion for music.